"A cup of coffee is a miracle, a wonderful assemblage of relationships”. 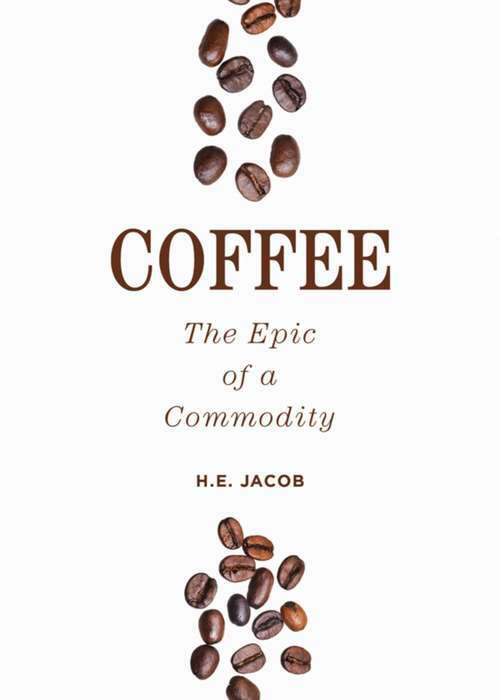 This classic follows coffee's journey around the world, from London to Brazil, telling in fascinating detail and amusing anecdote the singular history of the legendary commodity, from its discovery that chewing on the beans were keeping goats awake in Yemen to the author’s own experiences with the bean in 1935. Referred to as a "documentary novel” back during its inception, H. E. Jacobs pioneered the concept of creative nonfiction, combining the reality of nonfiction with the epic presentation and prose of fiction. This genre exploded into popularity and remains so today. Coffee tells the story of this popular beverage in short, fun to read essays that will entertain anyone that enjoys a good, strong cup of coffee.